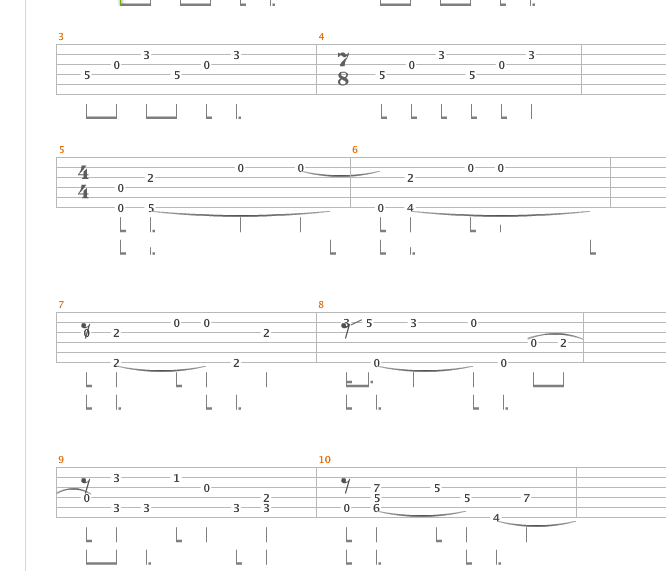 I tried to learn Wake me up when September Ends as arranged for Solo guitar by Ulli Bögershausen, and played by Sungha Jung. 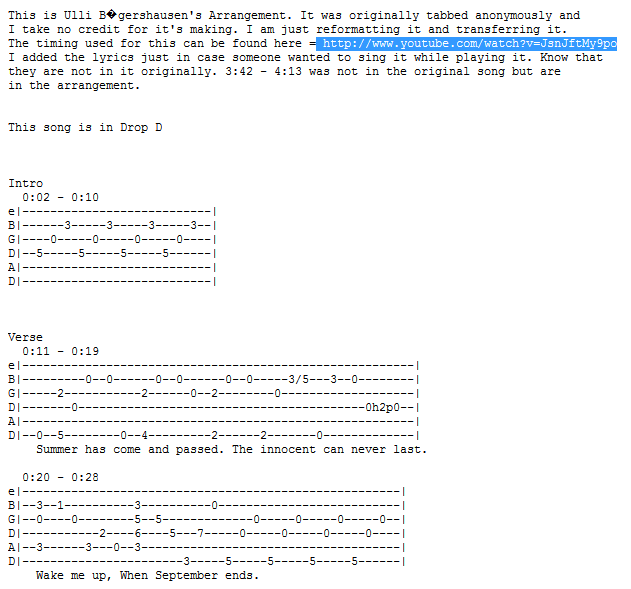 When I looked up the tabs, I found two different version for a distinctive chord movement at the end of the verse, namely where the lyrics go "[...] when september ends [...]". According to some sheet music, its played over an Cm, following a C major chord. As you can see the phrase "Wake me up" is sung over an C major, but then it switches to a Cm, hence has a d# note, but a d note is sung in the melody. This gives a very special sound, but why does this work out, when according to music theory and the circle of fifths C major and C minor are not close to each other, hence should sound dissonant and unpleasant (even more so with the d versus the d# note)? Here no d# note, but a g# note is played. Maybe this seems to be the sole reason for the sharp sound. Also, this guy seems to play the first version, whereas this guy seems to play the second version, but both sound right. As ggcg said, IV-iv-I is a very common cadence. It feels right because of the chromatic approach E-Eb-D (in G major key). hence has a d# note, but a d note is sung in the melody. This would sound dissonant, but by the time he sings D, only C and G are played in the guitar, witch disguises it a little bit. When he plays Eb in the guitar, he sings C then G, witch are consonant. But even if he didn't, a brief dissonance does not necessarily sound strange, as he resolves immediately to C after D.
The circle of fifths is primarily a relation between keys, not chords. He does not modulate from C major to C minor (witch would be valid too) because the whole song is in G major. The circle of fifths is just shows you a few modulations that sound good, but definitely they are not the only ones. About the other versions, with G# (Ab), I never heard them before, but I imagine they would work and kind of feel the same because Ab would be as well a chromatic approach to G.
So why does it work out, in such different transcriptions? So the final answer is: they work out because they use consistent cadences, and the melody does not conflict directly with the chords (or the conflict happens very briefly), so they feel natural, while not dissonant. 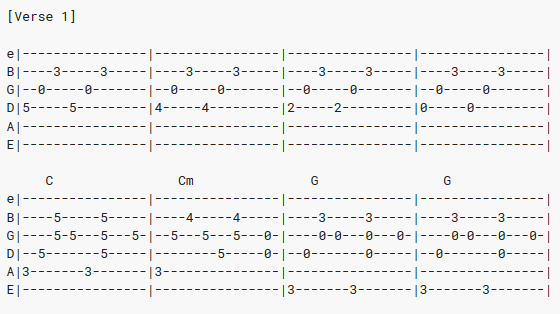 IV-iv-I is a known cadence, that uses a borrowed chord (iv) and chromatic approach (E-Eb-D). 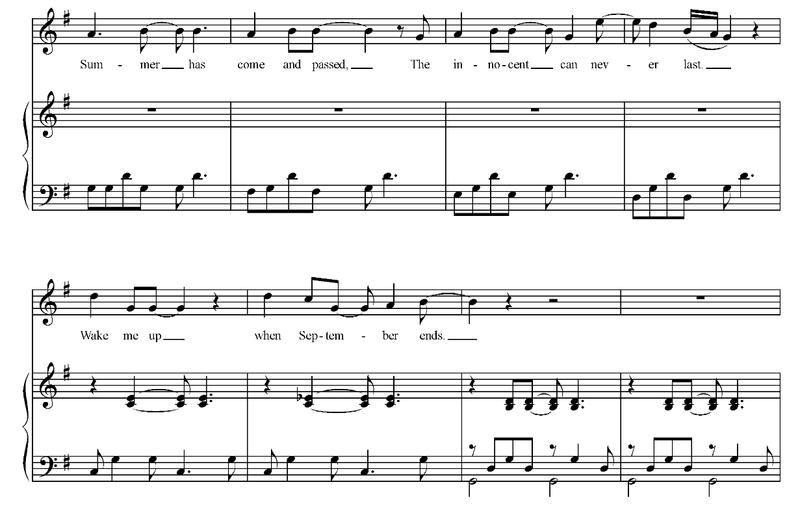 The other versions use different cadences that also feature chromatic approach (Ab-G). The first would be more like VIbmaj7-IIb-I, with borrowed chord + Sub V, and the last one would perhaps be a IV-VIIb-I, where VIIb is a borrowed chord, and the Ab (witch I didn't think as part of the chords) could be just a bridge between melody notes, as in G-Ab-A-B. You can Google all these terms I used to figure out what they are exactly and why they work. First off you are not in the key of C maj. Based on the sheet music you are in G maj (note the F#). C is the fourth of G and a common resolution is IV -> iv (IV minor) -> I. I am not familiar with the song but whenever I see (hear) this device I immediately gravitate to this type of resolution. This answer may not completely "resolve" you confusion as you are focusing on the key in a strict sense and we are usually taught to go IV->V7->I to resolve. I'd add that music theory is not like physics, the rules can be broken if they sound good. Another explanation could be that the composer just wanted an abrupt change. But the sound of the major third over the minor in the chord is typical of "blues" (not necessarily explained by western music theory), and coupled to the fact that this is the fourth of the key creates the longing for resolution. The main melody starts with a 'dissonance'. In G, first note is A, producing a sort of sus sound, which resolves to the maj.3, B. In the part you question, the same idea happens, where on a Cmaj. chord, there's a D note. Again a sort of sus. Next bar, the D appears again, but over Cm. Again a sort of sus. All the notes in that bar fit to either Cmaj. or Cmin. The original version uses C>Cm each time, but for a change, it could stay on the C. Although I can't think why it would, or even would need to. Not the answer you're looking for? Browse other questions tagged guitar theory harmony chord-progressions tonal or ask your own question. What is the relationship between notes sung and chords played? How to transcribe close 3-part vocal harmony?